Near West Kelowna, In British Columbia, Canada. Crystal Mountain, A 4,000 Bed-Unit Mountain Resort, Ski Area and Future Golf Resort Near West Kelowna, In British Columbia, Canada. A Unique Opportunity With All Provincial Approvals. Crystal Mountain is a former ski area next to Kelowna. It is ready to become a destination resort in an existing vibrant tourism market, in one of the best climatic areas of Canada and of North America, with a rare opportunity for four seasons activities. The Project's Master Plan has been approved by the Province of British Columbia. A Master Development Agreement, valid for 60 years, has been signed with the Province. This enables the developer to construct the project. The Official Community Plan has been approved by the Regional District of Central Okanagan, the local government. Crystal Mountain is a unique opportunity for the creation of a quality tourism destination, for easy family enjoyment in a favourable climate and in a popular region. Skiing and bicycling are the current major activities, with an opportunity for golfing in the master plan, providing unique winter and summer recreation in a region that can compete and surpass Colorado because of the superior summer season and of the more comfortable elevations. The ski industry of North America has constant growth despite challenges related to snow at many resorts: it was one of few markets to continue to grow and achieve another peak in the U.S. immediately after 2008. An experienced project team, with a lengthy and proven track record, including the most successful ski resort development of the last 50 years in B.C. (Kicking Horse Mountain Resort), has created the master plan for the project. The team previously created Kicking Horse Mountain Resort, an industry leader in sales and growth since 2000, and is comprised of key collaborators that have been working together for over 35 years; Pheidias Project Management and Oberti Resort Design, Leitner Poma lifts, McElhanney Consulting Engineers, Golder Associates, Enkon Environmental and other specialists. Crystal Mountain is an approved year-round destination adjacent to West Kelowna. It is a trophy destination for the tourism magnet represented by the Okanagan region of British Columbia. It is a new development over an abandoned former ski hill, shovel-ready following a lengthy approval process. It has an approved master plan for an area of approximately 2,900 hectares (7,166 acres), a master development Agreement with the Province of B.C. and an approved Official Community Plan from the local government. Zoning for the opening of the ski area is already in place and zoning for the First Phase of the real estate development is substantially ready for application. The local First Nation and the local government have been very supportive during the entire approval process. The development will create an economic engine that will continue to operate without ending, because the mountain will stay and cannot be duplicated. The resort village site, at 1,100 m (3,600 ft.) elevation, has exceptional access from the Kelowna International Airport (25 minutes away) and the Coquihalla freeway from Vancouver, B.C. The region’s attractiveness has been proven by the summer visitors and its famous wineries and lake attractions. The Western Canadian tourism market is already huge, Banff National Park generates over 7.5 million (and growing) yearly visitor-days from Canada, the U.S., Asia and Europe. Kelowna and the Okanagan region are already very popular with Albertans as well as British Columbians, and in summer it is particularly popular with people from Calgary. In winter Crystal Mountain is like a piece of Colorado in Canada, but with easier elevations, and it is more suitable for family vacations from the lower elevations metropolis of North America and Asia. With comparably few alpine facilities, British Columbia captures only 1.6% of world skier visits, or half as many as Colorado, despite having a larger regional population base, better transportation infrastructure and connectivity, and better elevations. Tiny Switzerland attracts approximately the same number of U.S. skiers as all of Canada. The Chinese market potential has yet to be approached. There is significant opportunity for growth in British Columbia, particularly in locations that offer better climate than Whistler, for example. The project is facilitated by the proximity of pleasant Kelowna, and of the Okanagan region with its lakes and wineries. Current projections are for 227,000 skier/day visits per year after the initial phase is constructed. Approximately 336,000 visits are projected at build-out. The length of season (year round). The guarantee of snow, with good climatic conditions. The year round use of the infrastructure. With planned snow making to extend the season, the project is strong on all three points, and is in one of the best climatic zones of North America and offers sightseeing, water sports and many amenities nearby. The approved Master Plan can be downloaded from this web site. 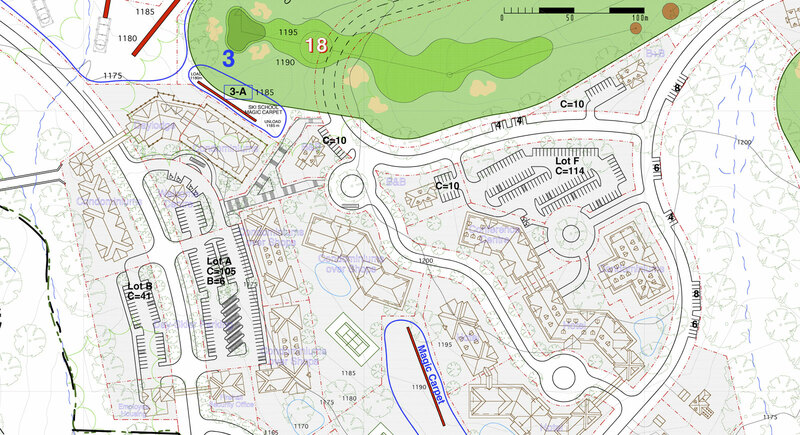 In addition to the plan of the ski area and of the resort village, the preliminary design of the golf course has already been done with the assistance of the office linked to Fred Couples, the famous American golf champion and designer. The Master Development Agreement (MDA), provides exclusive development rights of the ski area and the exclusive right to acquire fee simple land according to the Master Plan. The Master Plan includes a resort village area of approximately 150 hectares (371 acres). The intent of the MDA is that the project will repay the cost of the infrastructure and of the lifts from the land sales.